Phoenix, Arizona (August 10, 2015)– We all know that Vegas to Reno is one of the big desert races of the year here in the states. Banning Motorsports is lucky enough to have numerous years of experience racing this brutal race and also being victorious. Now its time to see if they can do it again in Class 6100 as well as the 2400 class. Banning Motorsports will make their way to Vegas Wednesday. 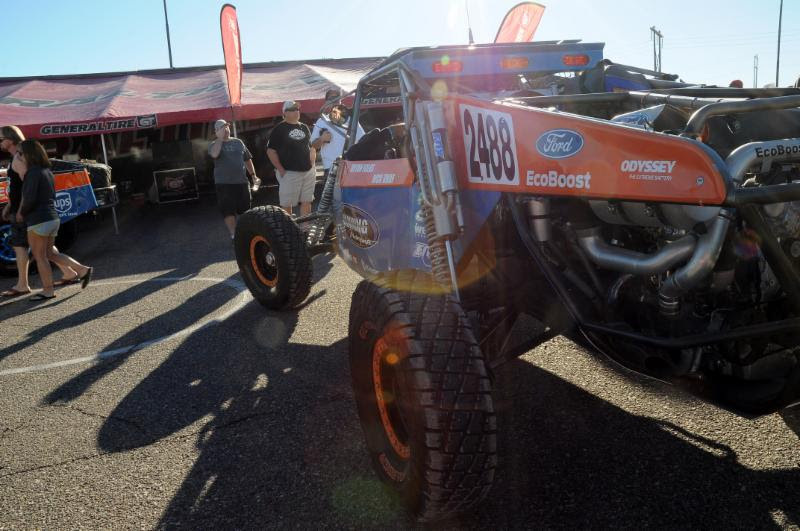 They will be taking the same qualifying position they received at The Mint 400 so that means they will line up 13th in the 6100 class to take on 24 other trucks. Lee Banning Sr., Lee Banning Jr. and Gary Williams Jr. will all be ready for their shot behind the wheel during the race with Chris Godfrey sitting co-rider calling out the terrain. The 550 mile course will have the racers making some serious elevation changes as they make their way from Northern Las Vegas all the way up to just South of Reno. They will find themselves at nearly 8,000 feet. On top of those elevation changes they will also encounter parts of the course that were washed away due to flooding and even possible dry lake beds that are still a mini lake. The heat of the desert can play a major roll on the race vehicles as well and drivers will have to be watching their gauges non-stop to be sure they don’t overheat in the middle of nowhere Nevada. Bryan Folks and Rick Graf will be powering the 2488 Banning Motorsports car and will switch co-riders between Adam Warren and Tim Sullivan. This is a strong team and they are leading in the class points. The class may not be the largest but it is a very competitive one. One minor error can mean that the competitor in your dust can take over your position. These guys will be taking their General Tires all the way to Reno unless major catastrophe takes over. 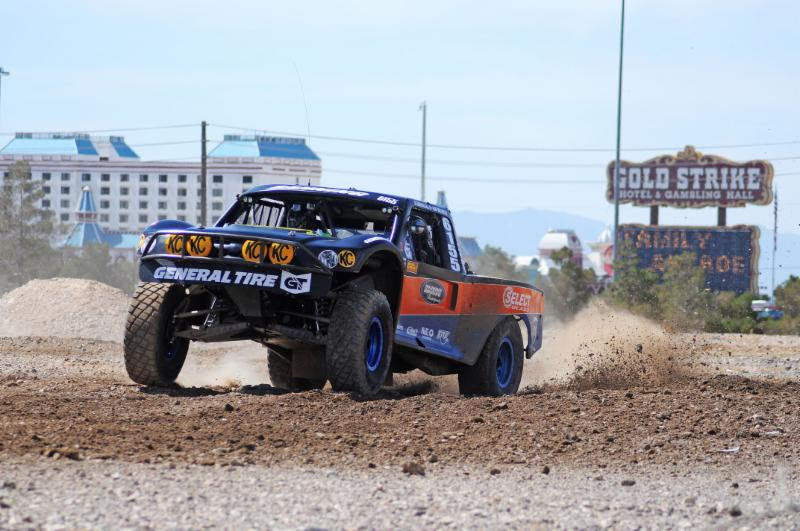 Best In The Desert has done a great job at marking the course and all its dangers and Banning Motorsports looks forward to this race every year as it can bring much success. Events start on Wednesday with qualifying. You can find the teams at contingency on Thursdayat Aliante Station and race day will start before the sun rises just North of Las Vegas.